As a professional athlete training at our facilities, training sessions with coaches and hitting partners are available to to be viewed/ observed live on court with the player and coach. - Private (Pro Player and coach practicing and a student may be on court listening, taking notes and absorbing the knowledge). - Clinic (group of student are on court watching a Pro Player and a coach train, but a second coach is there to explain the training sessions and explaining to the students what to learn from and apply to their own tennis). - Hitting/ Match Play (Pro Player and a hitting partner play practice matches or live ball drills and player can be on court to get an up close experience). * Viewing Sessions are priced differently based on the category so please contact the office for booking requests. .
Players are allowed to ask Pro Players questions after practices and they may give “coach” tips and pointers if asked. While working on his degree, Sean founded the Gonzaga Club Tennis Team and went on to coach at the recreational, club, high school, and college level. He enjoys helping players of all abilities increase their consistency, confidence, and composure out on the court. Sean is also a member of the United States Racquet Stringers Association and actively maintains his knowledge of racquets and strings in order to help players find the best combination of equipment to play their best. Coach Kim Do is from Vietnam. He started playing tennis at the age of 7 and he played competitive junior tennis in Vietnam. He moved to the United States in 2011 and served as a number one singles player for the Oak Grove High School in San Jose. After graduating high school, Do attended De Anza College where he was a part of one of the top doubles teams. He transferred to San Jose State, where he is currently studying computer science. Do has been coaching for 4 years. ﻿Emma has been with Kim Grant and her academy since the beginning. 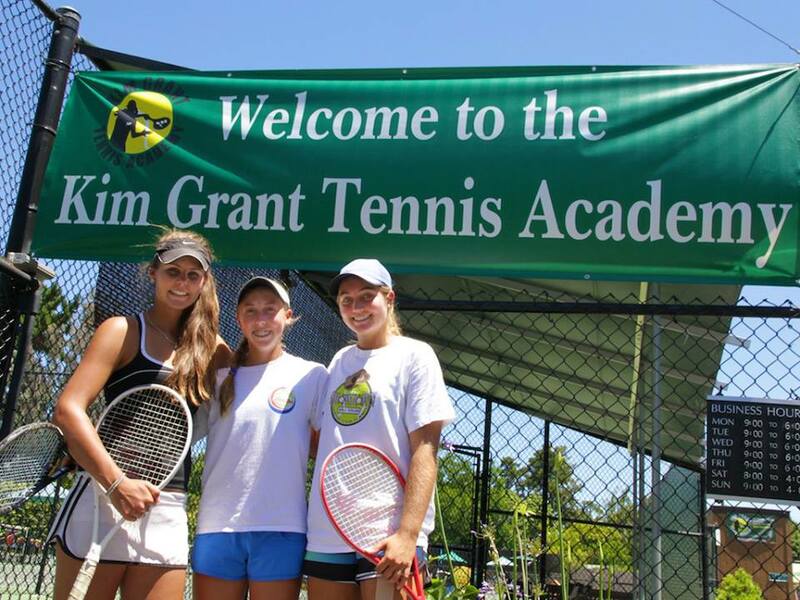 Emma started with Kim Grant Tennis Academy as a player and earned top junior rankings in Northern California. Emma represented Kim Grant Tennis Academy at the 2008 Orange Bowl and has a 2008 Junior Sectionals Doubles title to her name. Currently, even though Emma is a coach at KGTA, she is embarking on a professional career - playing many International Tennis Federation Tournaments. Born and raised in Mexico City, Mexico, Enrique has been involved in tennis his whole life. From playing at a university level at Universidad Nacional Autonoma de Mexico to teaching tennis at the Odyssey Club in Cancun, Mexico to being the Tennis Director at the Puerto Adventuras Golf and Tennis Club and the Hotel Robinson Club, Enrique has done it all. Enrique coaches using drills, games, and live-ball situation and improves the strategy and tennis ability of the players along the way. He encourages students to develop their mind and body and develop the consistency that is required to compete at any level of the sport. Fernando has played competitive tennis since childhood and competed at the NAIA collegiate level, playing for Bethany College during his freshman and sophomore year and University of Mobile his last two years. A few of his many accolades include: Daktronics-NAIA Scholar-Athlete, 2012 & 13 Southern State Athletic Conference's All-Academic Team, and 2013 3rd-Team Capital One Academic All-American College Division At-Large Team. Fernando also has a remarkable amount of coaching experience. 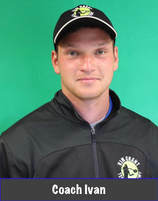 He was a tennis director at Camp Lakota in Wurtsboro, NY, Men's Tennis Graduate Assistant Coach at Delta State University, tennis director at Camps Kenwood & Evergreen, and tennis instructor at the Tennis Academy at Harvard! Originally from España (Spain), Julio moved to the US in 2016, where he now resides. While in Spain, Julio was a Director, Instructor and Coach of several professional organizations and individuals. In addition, Julio competed professionally in several top European competitions internationally. As a young adult he earned his rankings in the top 1000 players in Spain. His tennis practices and skills placed him as a 5.0+ player within his country. During Julio’s young adult tennis education, he studied under Luis Mediero, named best coach in the world 1993-1997 and Founder of RPT- internationally acclaimed organization that mirrors the USTA in America. Throughout that time, Julio excelled in exceptional playing techniques and talent that created a learning platform which he uses today and is used throughout all of Europe. He is excited to bring his talents in program development, individual and group techniques, to those of all ages, into the United Sates. Kerilyn was a top level junior in South Africa and played division I tennis at San Jose State University on a scholarship. Coach Kerilyn has been coaching and developing players of all levels for 15 years and is certified with the ITF- International Tennis Federation. Along with her well-accomplished tennis career, she is a certified life coach, award winning leader, and public speaker. Laura joined us in 2016 and is responsible for managing the accounting, financial reporting, payroll, and overseeing compliance with tax returns and other regulations. Laura grew up in Buenos Aires, Argentina. When graduated from high school, she got her accounting degree from Universidad del Salvador in Buenos Aires. Although Laura did not grow up playing tennis, she always felt attracted to the sport. Later, when she met her husband Jorge (a tennis player since eight), she became an enthusiastic tennis player. Laura and Jorge have one daughter, Helena, who is a tennis student at KGTA, and Zoe, their dog, who loves to pick up tennis balls! Outside of work, Laura enjoys gardening, spending time with her family, traveling and attending tennis tournaments. As a top ranked junior in South Africa, Stacey spent a total of 6 years as #1 in the nation. Stacey earned a tennis Scholarship to University of Hawaii where she studied BA Media and Communication. Along with being an ITF certified professional tennis coach, Stacey also has a degree in Fashion Management and Communication with a minor in Haute Couture. She is currently working towards her Masters in Fashion Management. Her passion for tennis and player enrichment shines through in all she does at KGTA. ​Originally from Fremont, California, Sydney is the newest member of the office staff. She is a certified Medical Assistant and currently pursing a degree in Nursing. Sydney attended Sacramento State for her undergraduate classes and is now continuing her studies in the Bay Area. She has been involved in competitive sports for 12 years, primarily basketball, which she has 4 years of experience coaching as well. She has good analytical and problem- solving skills and is very excited to join the KGTA staff. Michelle is a WTA professional tennis player from South Africa - the country that she also played for in Fed Cup. Undoubtedly, she will bring in tons of both singles and doubles experience from the WTA tour and ITF circuit to the academy. Her highest WTA singles ranking was 666th, and her highest WTA ranking in doubles was 278.